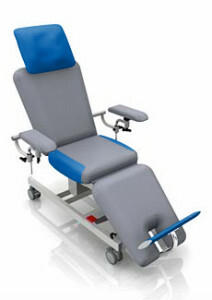 Bionic transfusion chairs have a specially designed transfusion armrest which can be adjusted in height, horizontal direction and angle to provide an optimal positioning of the donor’s arm. 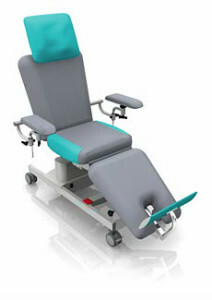 For choosing the right transfusion chair three different models of therapy chairs are available. These models differ in the number of motors, possibility of height adjustment, kind of brake or footrest. 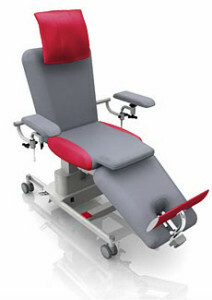 A large number of accessories for the Bionic therapy chairs as well as the multifunctional tables and the stool complete the wide product range.